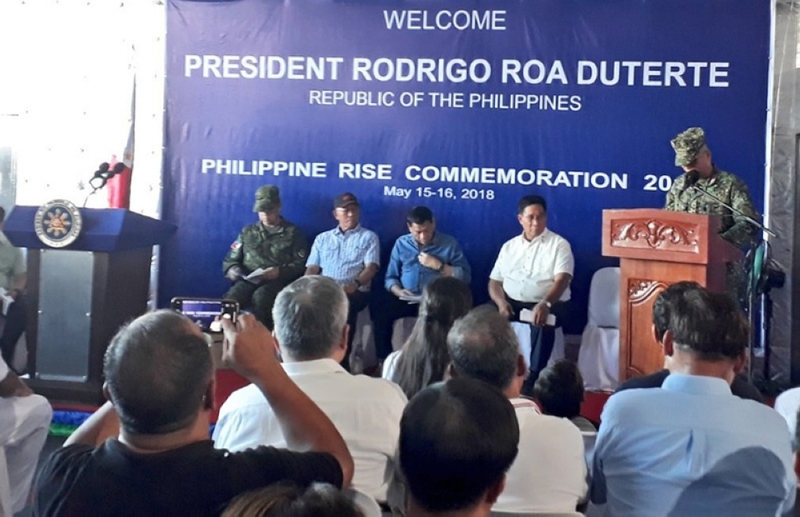 WHEN the helicopter carrying President Rodrigo Duterte landed on BRP Davao del Sur Tuesday afternoon, May 15, the Philippine Navy vessel was still within the Casiguran Bay in Aurora province in Luzon, not in the Philippine Rise. 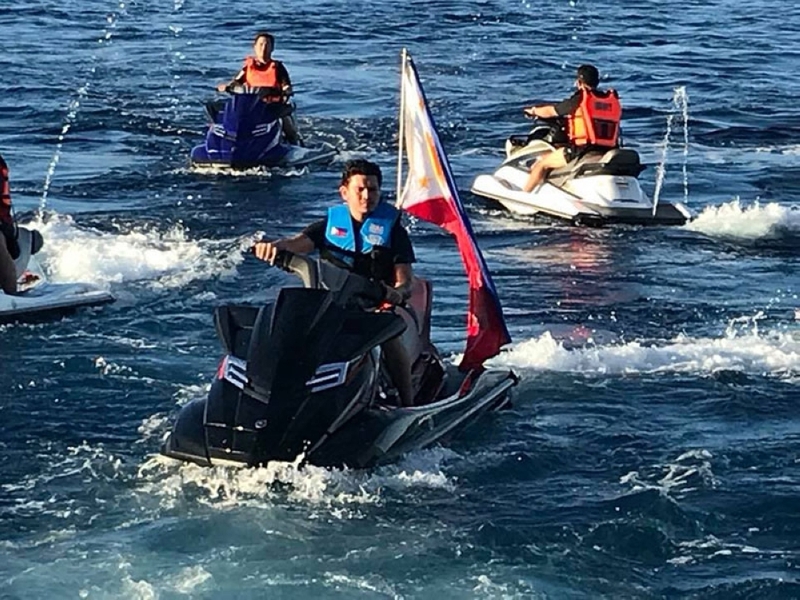 What was supposed to be a historic visit to the vast undersea region situated east of Aurora turned into what Presidential Spokesperson Harry Roque Jr. described as a "symbolic" event. The President seemed unaware that he was unable to go to the Philippine Rise, since he highlighted in his speech that his visit was meant to uphold the country's exclusive ownership of the area by allowing 50 Filipino scientists to "explore and discover" what the undersea region has to offer. He also emphasized that he has approved the local scientists' conduct of "mapping, surveys, biological investigations and assessment of the coral reef and fisheries stock" in the undersea region until November this year. "When the United Nations Commission on the Limits of the Continental Shelf approved our claim to the Philippine Rise a few years ago, we were not just granted access to the vast resources. We were also entrusted with the responsibility to protect it from abuse and misuse," the President said. 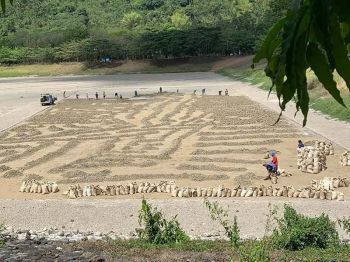 "Let us therefore explore this (new frontier) fully aware of our responsibility to (properly manage) and conserve its natural resources for the benefit of present and future generations of Filipinos," he added. Roque said it was "not feasible" for the President to go to Philippine Rise, as the area was a bit far. "You see, the Philippine Rise is beyond the 200 nautical miles exclusive economic zone. So you have to go beyond 200 nautical miles. It's somehow not feasible to basically go there. 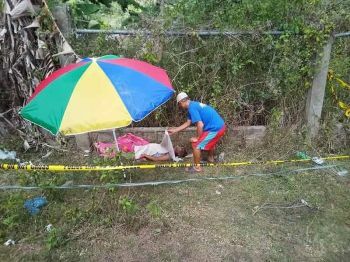 And Philippine Rise is actually beyond the waters," Roque said. "It (Philippine Rise) is a bit far. It's 120 nautical miles away. And it's a logistic nightmare. So this is symbolic. We're sending off the scientists, but the scientists will proceed," he added. Duterte's chopper was initially scheduled to land on BRP Davao del Sur, one of the two landing docks of the Philippine Navy, at 2 p.m. Tuesday. It arrived at around 3:45 p.m., or nearly two hours late. The BRP-Davao del Sur was still in Casiguran Bay when Duterte arrived. The vessel left Casiguran Port at about 2 p.m. Tuesday. It takes three to four hours to reach the Philippine Rise from the coast. Aurora province is about 10 hours by car from Manila. It was Duterte who first announced in April his plan to visit Philippine Rise. The Philippine Rise, formerly known as Benham Rise, is a 13-million-hectare underwater plateau that is wider than the entire Luzon, the Philippines' biggest island. It is believed to be rich in biodiversity, natural gas and minerals.